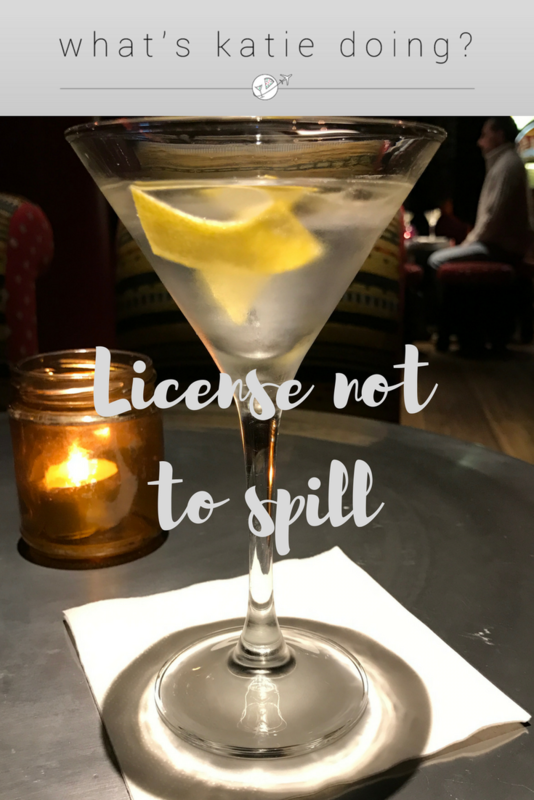 License not to spill: in search of the original Vesper martini - What's Katie Doing? 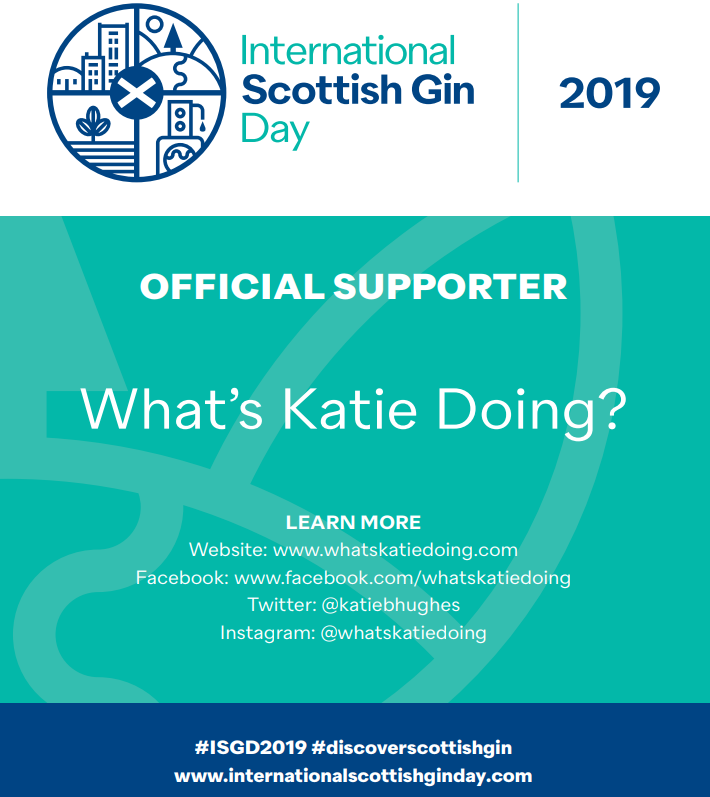 What do you do if you are both a gin and a James Bond fanatic? Recreate the original recipe Vesper Martini of course! 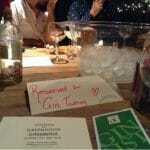 And that’s just what Jake F. Burger from Portobello Road Gin did last year…. OK, so I know this isn’t a great photo of Jake, but he was quite animated and wouldn’t keep still!! 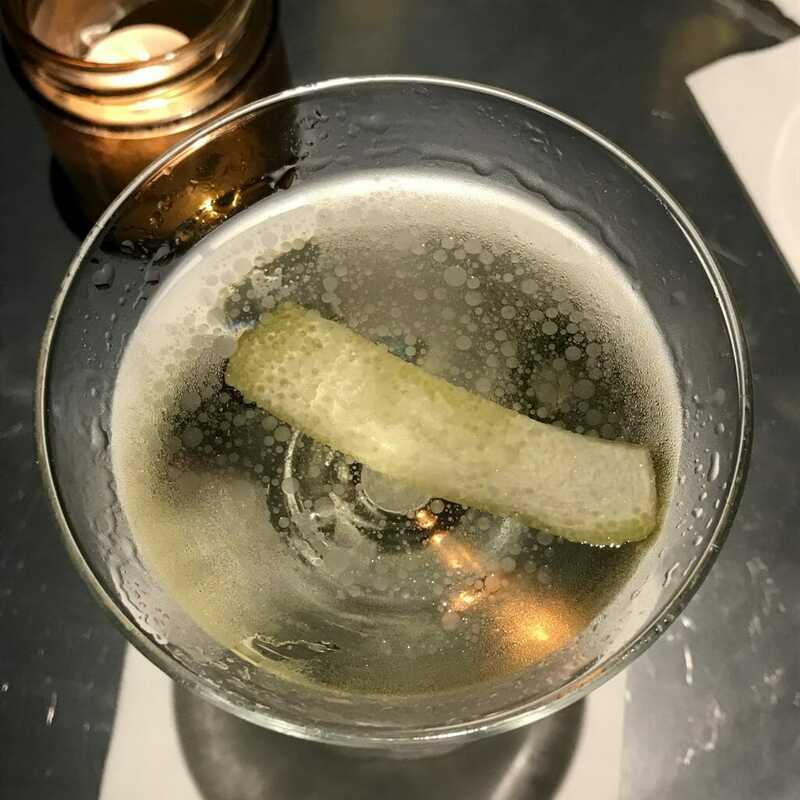 What is a Vesper martini? 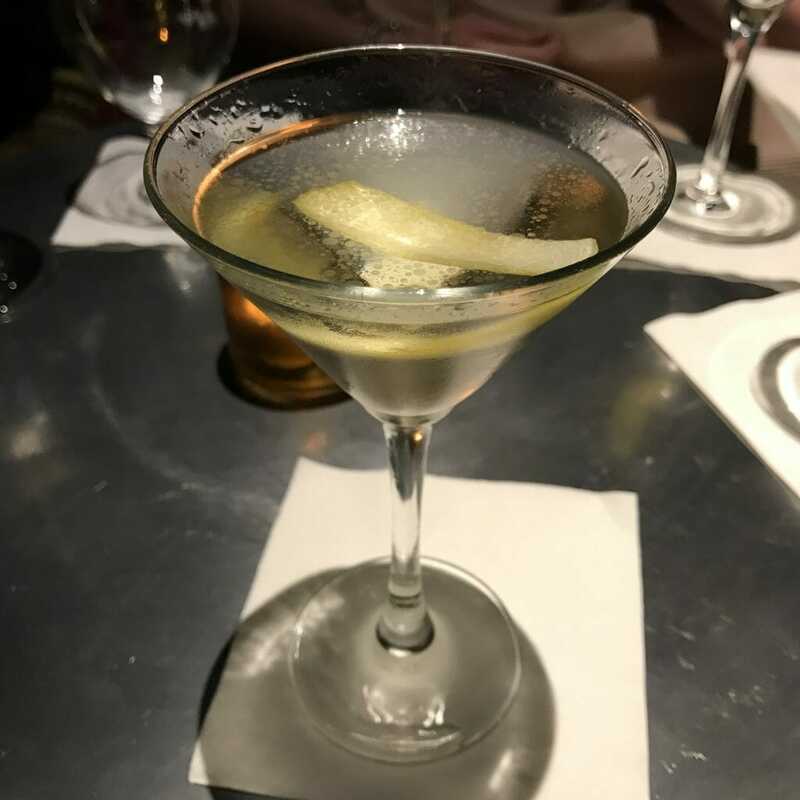 The Vesper martini is a creation of Ian Fleming in the James Bond book Casino Royale. He names it after his one true love Vesper Lynd. It’s made of three parts Gordon’s, one of vodka and half a measure of Kina Lillet. 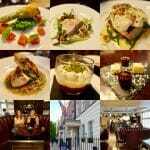 Technically it shouldn’t be called a martini as it has no vermouth in it.. A traditional martini is gin and vermouth. Note that a ‘martini’ is always gin, vodka should always be referred to as a vodka martini. Piers Brosnan was the first Bond to order a martini shaken not stirred, although bartenders disagree about this being the best method. 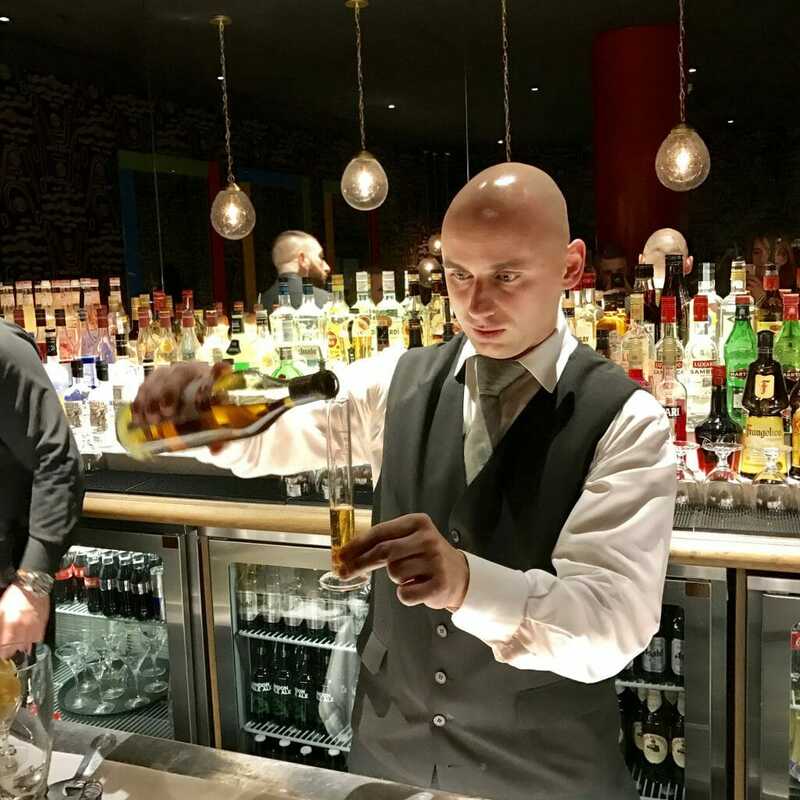 So Jake, a Bond fan, decided to hunt down a bottle or two of the original recipe to recreate the original drink. 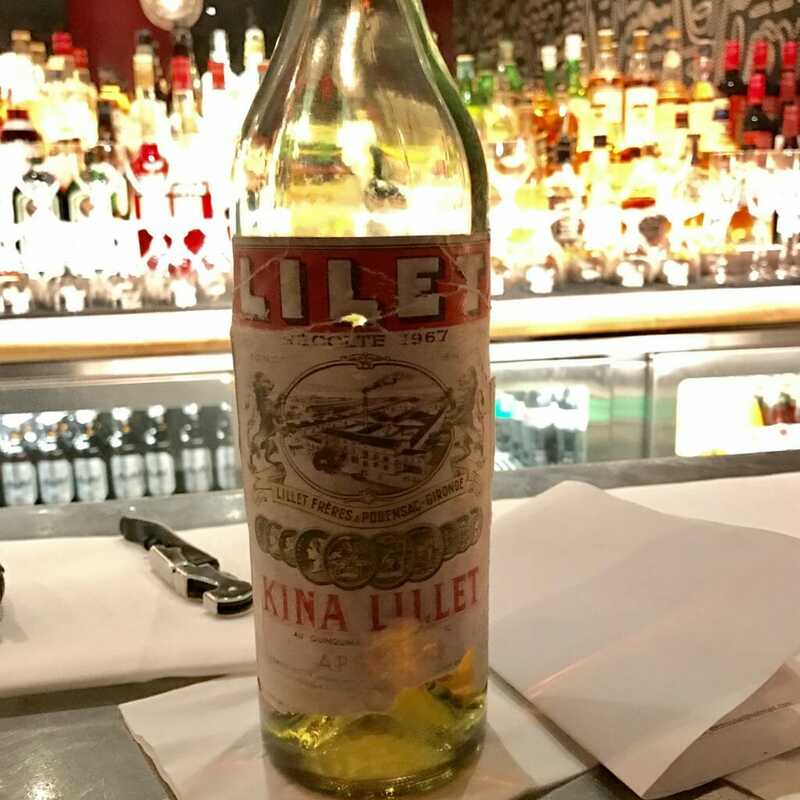 Kina Lillet is a French aromatised wine, fortified with liquor and then barrel aged. The recipe is a secret, but contains oranges, possibly stone fruit and quinine (to hold the flavours together). It doesn’t age well… Jake found many bottles where the liquid had turned black – basically oxidised – and it should be golden! After years of searching (I can’t remember how many!) Jake uncovered a bottle with a golden hue. 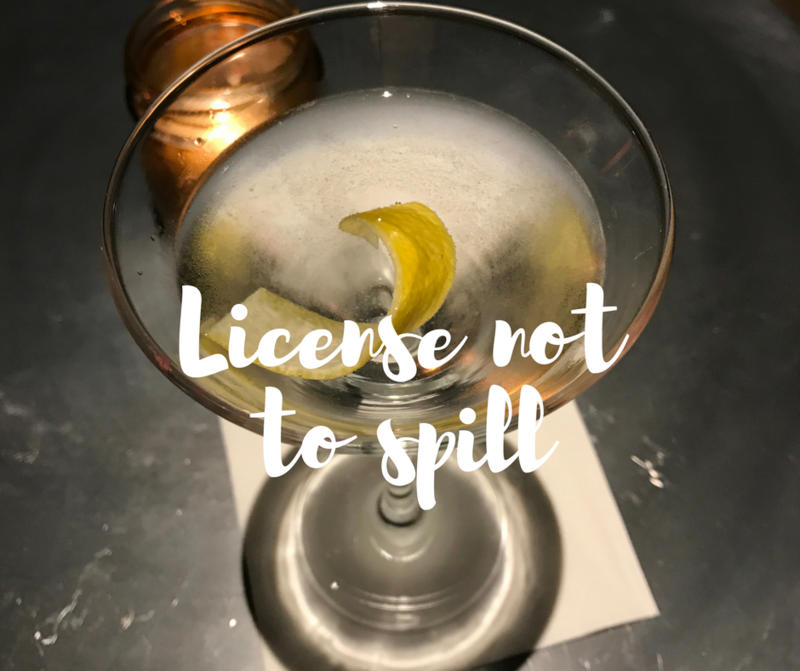 And so to celebrate the License not to spill event was created. Modern day Vesper cocktail, the original Vesper and a screening of Casino Royale, what more could you want?! 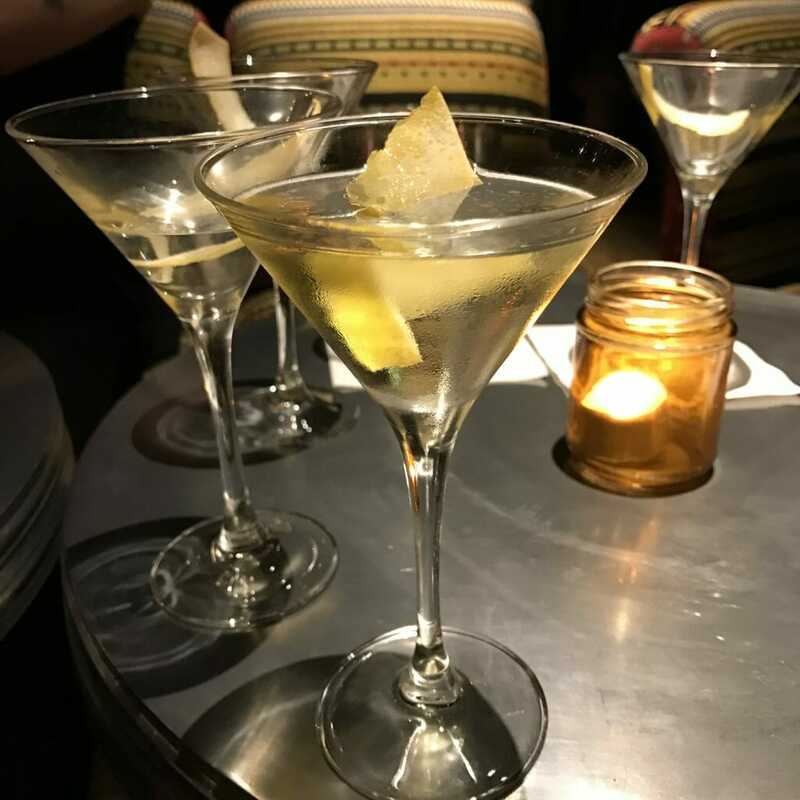 The drinks line up – of course our martinis were made with Portobello Gin. 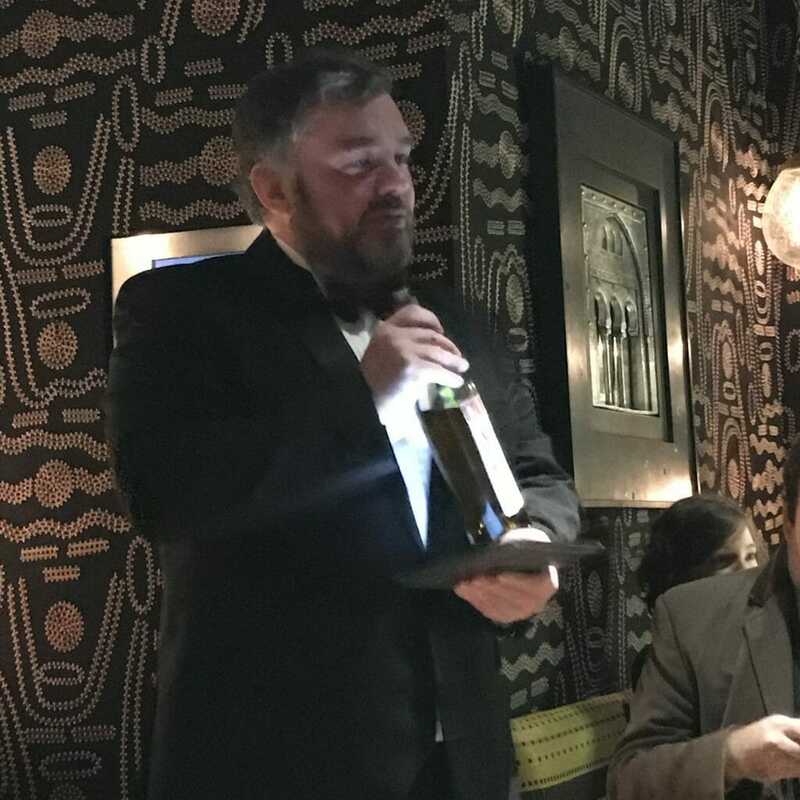 Look at that concentration… for £1,000 a bottle you can’t spill a drop! 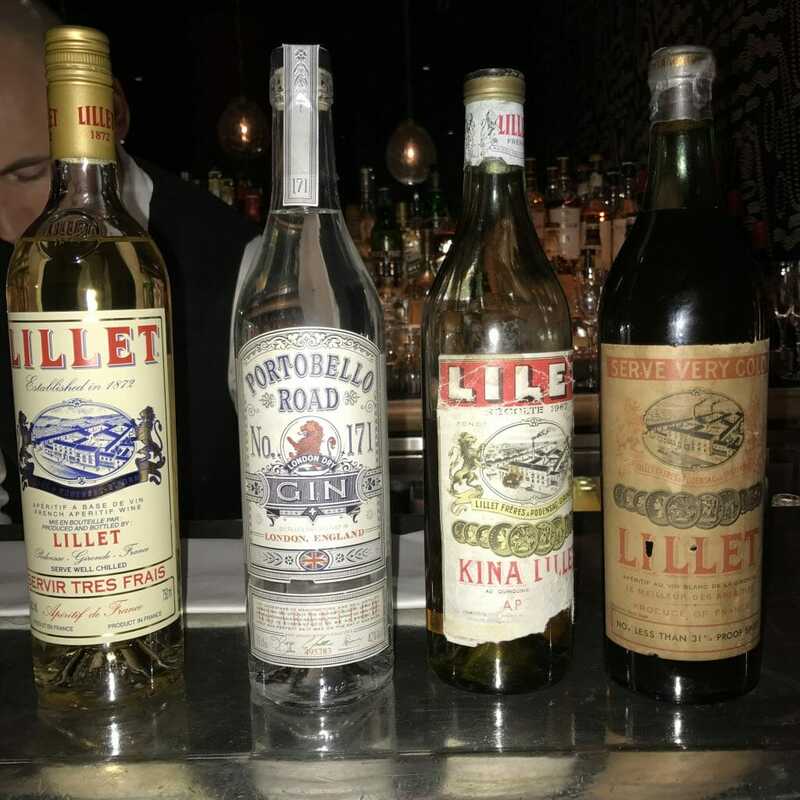 The original Vesper ‘martini’, the Kina Lillet was the same age as my sister! So could we taste the difference between the original recipe and the new? The answer is yes! 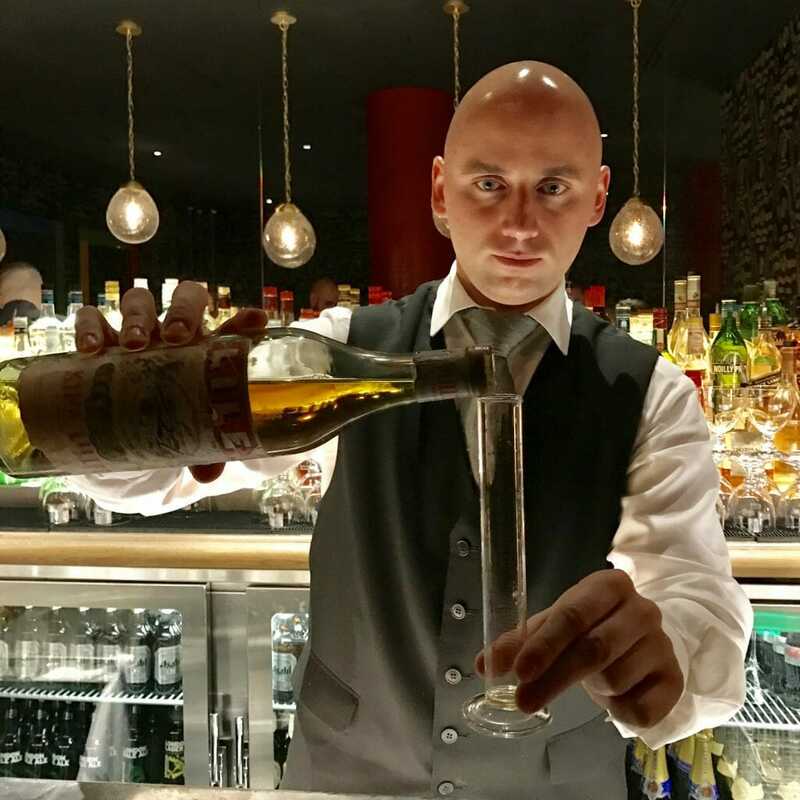 Kina Lillet has a deeper taste and it lingers on the palate, the flavour definitely lasts longer. The gentlemen sitting near us reckoned that it has a almond note too. 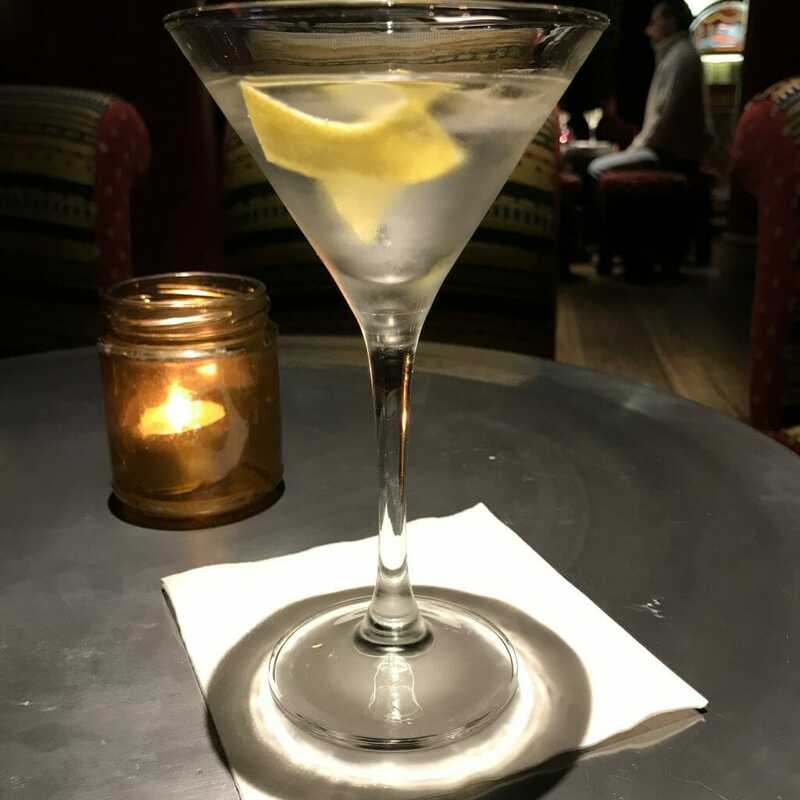 When I asked the barman what he thought, he said that it was good for a strong drink and the Vesper is definitely a strong drink! He may have been unnerved by my close up lol! 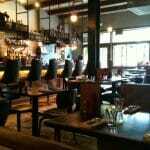 After necking back I mean tasting the martini’s we moved into the screening room to join Bond in Casino Royale. 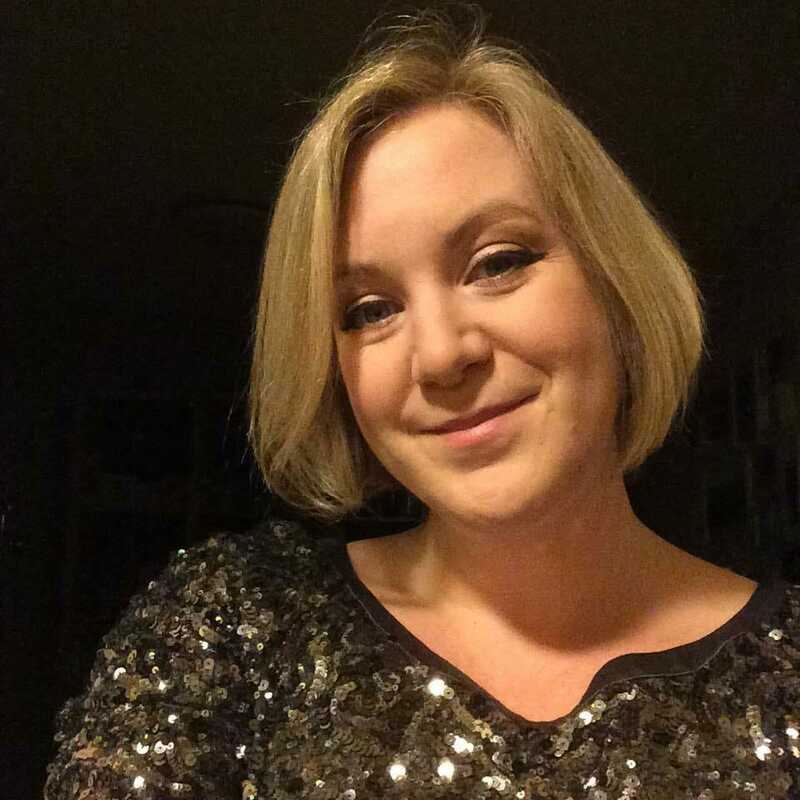 The film is one of the booziest film with 26 units of alcohol – I do not recommend drinking games with this.. With the equivalent of 5 martinis a day this is four times the maximum recommended intake and puts Bond in the top level of high risk drinkers! 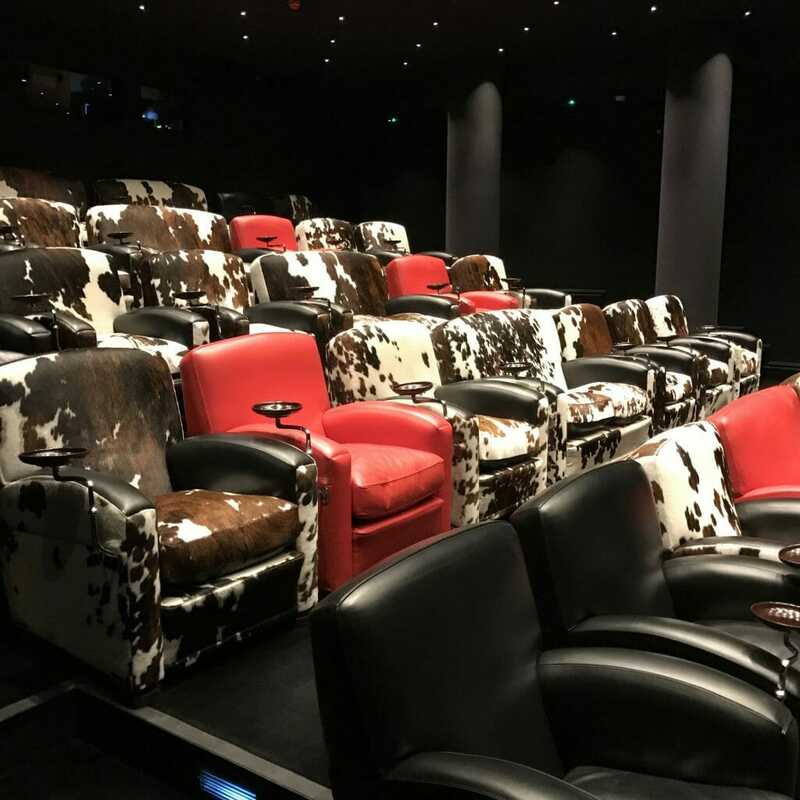 The private screening room at the Soho Hotel – very luxurious! 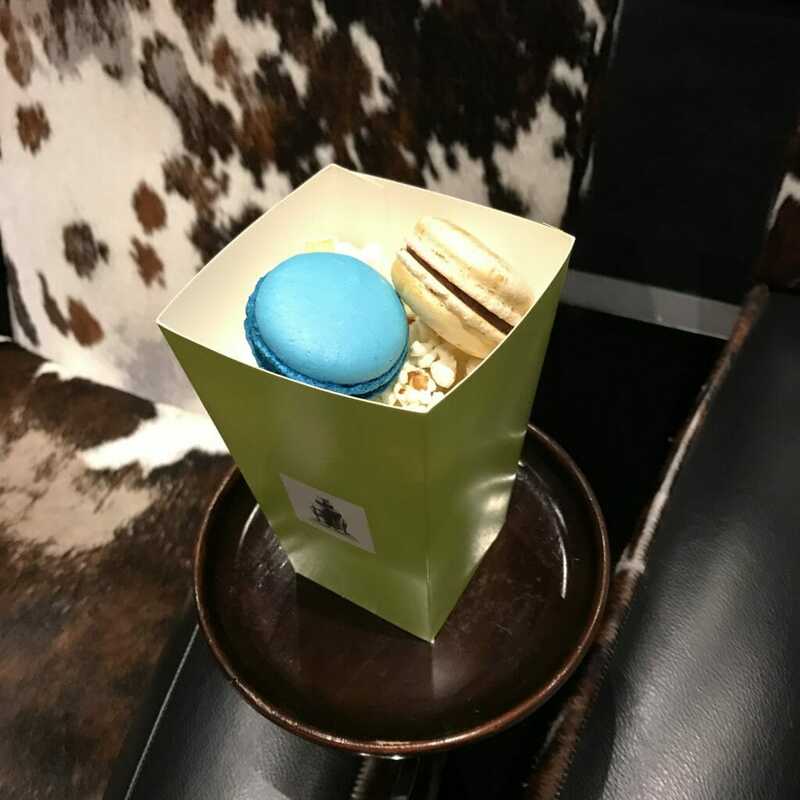 They had the best kind of snacks – popcorn and macarons, my favourite!